ARLINGTON, VA - March 2, 2018 - The International Association of College Admission Counseling (International ACAC) will host the Latin America Regional Institute, March 8-10, 2018, in Panama City, Panama. The Regional Institute, held at Florida State University – Republic of Panama Campus, will feature three days of professional development, culminating with a college fair open to students and local secondary schools. ARLINGTON, VA - November 3, 2017 - The three-day Middle East and North Africa (MENA) Regional Institute, organized by the International Association of College Admission Counseling (International ACAC) and hosted by the American Community School of Abu Dhabi in the United Arab Emirates, concluded on October 21st. The mission of the MENA Regional Institute was to connect secondary school counselors within the Middle East and North Africa with university admission officers from around the world to discuss important matters specific to the region, its students, and its schools. ARLINGTON, VA - October 3, 2017 - The majority of universities in the US, in addition to many universities around the globe, require standardized testing as a significant qualification to apply for admission. Because this testing is required for university admission, International ACAC believes the testing agencies and universities must make sure all students have equal access to these test dates. ARLINGTON, VA - August 11, 2017 - Setting an attendance record, the 24th annual International Association for College Admission Counseling (International ACAC) Conference concluded on Friday, July 14th, 2017, after five days of educational sessions, networking, collaboration and fundraising. Hosted at Case Western Reserve University in Cleveland, OH, nearly 1,300 educational professionals representing institutions and organizations from 88 countries around the world came together to discuss important matters of global education. NAIROBI, KENYA - The International Association for College Admission Counseling partnered with Brookhouse School to host the 2016 Africa Regional Institute, its first college counseling and international admission conference on the continent of Africa. More than 140 higher education professionals gathered in Nairobi to build the insights and connections best needed to advise students seeking international education opportunities. ARLINGTON, VA - August 9, 2016 - The International Association for College Admission Counseling (International ACAC) recently partnered with Rutgers University to host its 23rd annual conference, held July 11-14 in New Brunswick, New Jersey. This year’s conference attendance was at its highest with representation from over 85 countries and 928 institutions. An annual summer event, the conference provided a plethora of networking and learning opportunities for higher education professionals. Worldwide participants included primary and secondary school counselors, college admission and financial aid officers, independent educational consultants, and educational NGOs, among others. Overseas ACAC saw one of the strongest representations of international institutions ever at this year's NACAC Conference in San Diego. In total over 250 college counseling and admissions professionals attended helping to set a conference attendance record. Many were on hand for the International ACAC membership meeting on Thursday when the big news was looking forward to 2016 and 2017.
International ACAC unveiled its new logo, set to launch with the organization change on January 1st 2016. Take an exclusive closer look at the new logo just for members HERE. Also at the membership meeting International ACAC President Joe Giacalone announced the location of the 2017 International ACAC Conference: Case Western Reserve University. 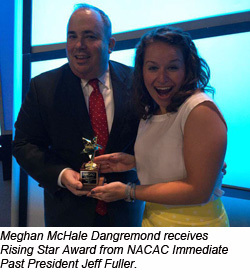 Meghan McHale Dangremond, Associate Director of Admissions at Tufts University (MA), was honored as a NACAC Rising Star, an award that identifies emerging leaders in the field. Meghan is Vice President of Membership for International ACAC. Further international highlights from the National Conference courtesy of NACAC Bulletin. The Overseas Association for College Admissions Counseling (International ACAC) will hold its first-ever Regional Institute, hosted by the YK Pao School in Shanghai, on August 17-18. This Regional Institute is the first of its kind, designed exclusively for International ACAC members to network, learn about admissions practices for Chinese students, and attend panels about the state of international admissions. By focusing on Asia, members will gain a broader understanding of the admissions practices in a region that is sending an increasing number of students abroad. Big Opportunities Await: Register Now for NACAC's 71's National Conference in Sunny San Diego! Don't miss this preeminent professional development opportunity for the college admission community. Join more than 6,000 secondary and postsecondary college admission counseling professionals to exchange ideas, learn from experts and find out about the products and services that can help you accomplish your goals. Learn more. International ACAC is pleased to announce the results of the 2015 Board Elections. It was another very strong year for votes cast by our members and we welcome these results as a demonstration of the enthusiasm, interest and support on the part of members in the organization's leadership and future. International ACAC officers begin their terms on July 1 and continue to serve for one, two or three years. Other positions will rotate off for the next 2016/17 cycle and the next nomination process will be announced in late 2015. For more information on the International ACAC Executive Board, and a complete list of the current Board, click here. At the Opening session of the annual national NACAC Conference in Indianapolis, International ACAC's own Bridget Herrera was recognized and received the Margaret E. Addis Service to NACAC Award. 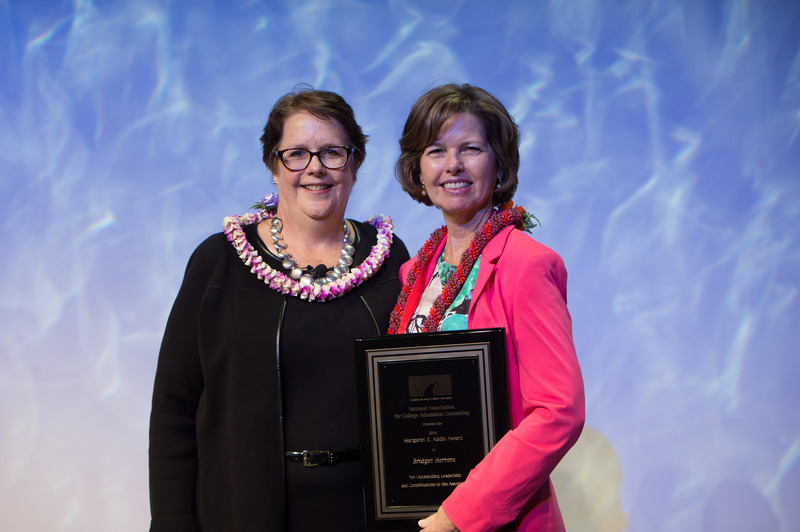 Established in 1996, the Margaret E. Addis Award honors a long-time, respected leader of NACAC who never faltered in her commitment to ensuring ethical practices. The Addis Award recognizes a NACAC member who has provided the association with unique and outstanding service. Several of the criteria considered by the nominating committee for this award includes : NACAC Membership for a minimum of 10 years; ethics - constant and passionate voice for ethical standards and practices; service to NACAC - service over an extended period of time in NACAC leadership and helping to shape important policy. Bridget Herrera is a counselor at Escola Americana de Campinas in Brazil. In 2010, Bridget led International ACAC to explore the ethical issues concerning the use of agents and per-capita compensation in international recruitment. The effort she began helped lead to the formation of the NACAC Commission on International Student Recruitment and, later, to the establishment of the International Advisory Committee that is currently helping NACAC support students in international education. Bridget was president of International ACAC in 2009/10. Overseas Association for College Admission Counseling (International ACAC) hosted its 21st annual conference on July 8-11, 2014 in Tampa Bay, Florida, jointly hosted by University of South Florida, University of Tampa, and Eckerd College. The conference provided an essential platform for the interaction of international admission and counseling professionals from around the world. The conference attendance was the highest ever, with nearly 1100 participants from over 80 different countries and 831 institutions. The International ACAC conference is now the highest attended of all NACAC affiliates. 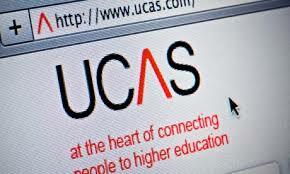 UCAS (the UK admissions service) is currently holding a review of the services offered. This review includes a number of significant recommendations such as introducing a new tariff proposal. weight of a views consolidated together by International ACAC may have more influence. The deadline for submissions is May 16, but for the joint consultation we will need couple of days to prepare the final response. Please send your comments on the review to David Hawkins by May 13th. Announced at the NACAC Conference in Toronto, International ACAC is pleased to be heading to Eugene, Oregon in the summer of 2015 for the 22 annual International ACAC Conference. 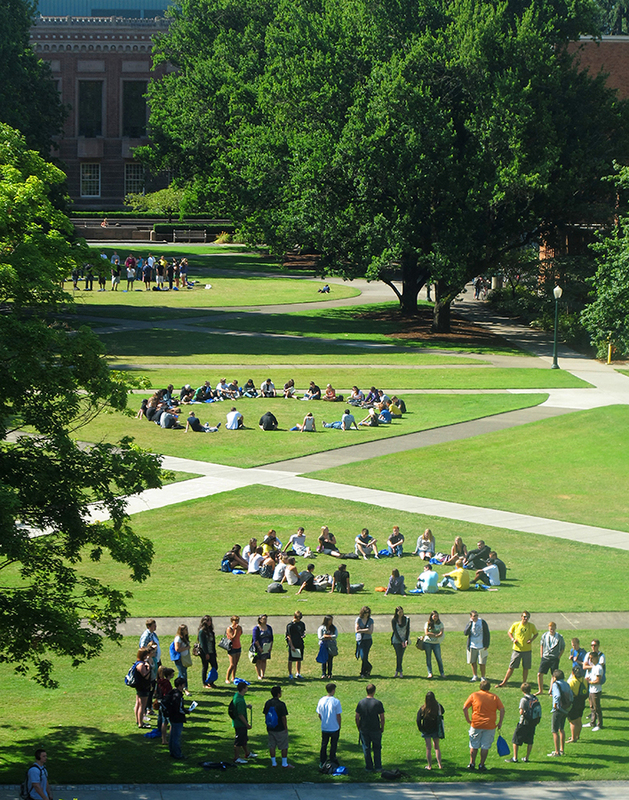 The University of Oregon community is thrilled to host the 2015 International ACAC conference in Eugene, Oregon. The campus, the city of Eugene, and the American Pacific Northwest are great destinations for this association and the students it serves. We are honored to host a program that not only celebrates the rich traditions of international education, but provides vital networking and professional development for International ACAC members. The University of Oregon, founded in 1876, is the state's flagship institution. The UO enjoys a rich reputation as one of only 62 institutions—and one of 34 publics—in the prestigious Association of American Universities. Located in Eugene, an energetic small city known as "Track Town, USA," the UO is proud to have hosted the last two US Olympic Track and Field Trials. Towering trees shade the 295-acre campus arboretum where students pursue innovation in more than 260 academic programs. With our strong tradition of serving international students, the UO enrolls more than 2,500 international students from 95 countries. Programs that connect the UO to the world include 22 language degree programs and instruction in 12 more. Through 170 UO study abroad programs in 95 countries, 21% of our students travel the world. The UO continues to increase its leadership, scholarship, and research in international education, and offers International ACAC members a community that is both global and globally minded. At the 69th National Conference of The National Association for College Admission Counseling, the Assembly voted on and adopted new guidelines concerning the use of commissioned agents for its members. The following information is intended to provide information to International ACAC's members and interested parties. agency or organization for placement or recruitment of students in the United States. If members choose to use incentive-based agents when working with international students outside the US, they will ensure accountability, transparency and integrity. The National Association for College Admission Counseling (NACAC) Assembly has decided to recommend against (not prohibit) using commissioned agents among its members; however, if a member institution chooses to use a commissioned agent, it must ensure accountability, integrity, and transparency in the process. NACAC and International ACAC member institutions will be permitted to use commissioned agents, or those who receive compensation on a per head basis, outside of the United States. Commissioned agents remain prohibited from recruiting U.S. citizens and U.S. Permanent Residents, wherever they may reside, due to federal law. Additionally, commissioned agents are prohibited from recruiting any student in the United States and territories. The Overseas Association (International ACAC) supported a change to the adopted language that would enable member institutions in Canada, Australia, the United Kingdom, and other countries to use commissioned agents to recruit international students (non-US) in the United States. However, this issue was sent back to the National Admissions Practice and International Advisory Committees for further study. There is a moratorium of enforcement of the new change to the Statement of Principles of Good Practice (SPGP) for a period of one year. International ACAC will continue to work with interested parties at the national and international levels to ensure all voices are heard and points of view are considered. Questions can be directed to [email protected].